It’s the jolliest time of the year again – Christmas! 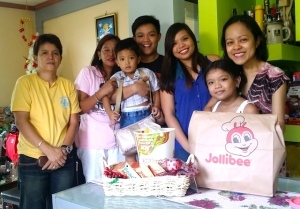 More than just a place for langhap-sarap food, Jollibee has become a haven of happiness for cherished family moments, especially during Christmas. 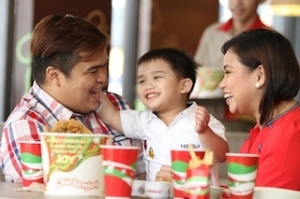 This Yuletide season, Jollibee is adding brightness and cheer to its nationwide network of stores with holiday decorations that make dining an even more festive experience including Christmas parols and kiddie caroler stick-ups on the glass panels. These also add to the heartwarming mood set by the colorful murals that showcase Pinoys’ strong family ties, as well as the fun store accents and décor that win over kids and kids at heart. Donation boxes for the 20th Maaga ang Pasko, the longest-running toy and book drive in the Philippines, also touched the hearts of consumers, encouraging them to share their blessings with those in need. To get everyone into the holiday mood, Jollibee introduced special holiday treats that celebrate the flavors of the season. 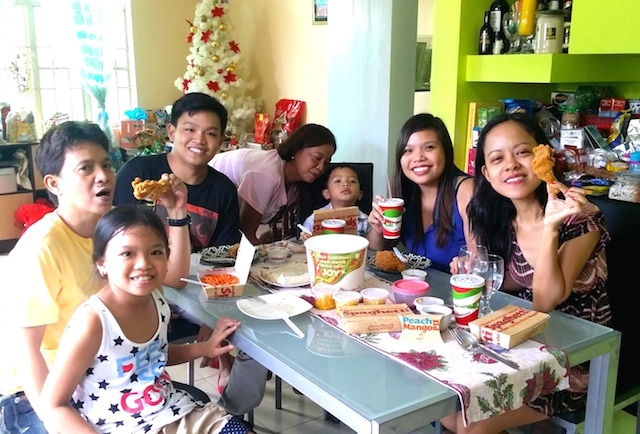 Celebrations with the family became even more complete with the Christmas Bucket Treats, featuring everyone’s favorite Chickenjoy and Jolly Spaghetti bundled with yummy treats such as Buttered Corn, Mashed Potatoes, Peach Mango Pies and Jollibee Mix-ins with Hershey’s Kisses. 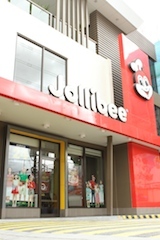 Adding a sweet note to the festivities are the Jollibee Christmas Creamy Shakes.